Successful project delivery requires a clear and achievable scope with appropriate governance and the right mix of resources. Convergent is able to draw upon the significant and wide-ranging experiences of our Project Managers, Technical Engineers and Business Analysts to deliver technology solutions that meet the business strategies and functions they are designed to support. Our consultants’ expertise lies in delivering business critical systems, including package implementations, system migrations, bespoke developments and service outsourcing. Our Project Managers have a thorough grounding in technology with accreditation and training in formal project management methodologies. Possessing relevant domain knowledge and able to quickly grasp the core business drivers for a project, Convergent PMs’ will take ownership for the project plan and proactively manage risks and changes. Experienced in establishing project governance and reporting structures, managing the cross dependencies between business and IT teams, Convergent PMs’ are strong communicators and leaders able to provide on-going quality assurance to informed stakeholders. Expert with solving the technical and operational challenges with deploying and integrating applications to an existing technology stack, Convergent Technical Engineers are highly experienced with diverse technologies, standards and tools. With knowledge of infrastructure design, hardware, operating systems, database, networking and technical security our engineers are often engaged as the Technical Lead on projects. Coordinating the technical delivery of globally located teams, defining and documenting requirements for ongoing application support Convergent Engineers are typically responsible for managing the application deployment though to production and handover to IT Operations. 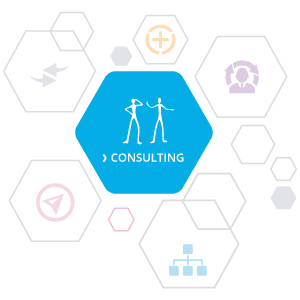 Convergent Business Analysts are senior consultants and functional SME’s with multi project experience. Typically engaged as the functional lead on projects our BA’s are adept at collaborating with application users and technical teams to capture requirements and model processes producing detailed systems specifications. With expert application knowledge our BA’s are able to advise where business processes might be improved to accommodate standard functionality, delivering systems that meet business expectation and realise project benefits.